1. Before training, Haymitch tells Katniss and Peeta not to train at the stations that would reveal their strengths. Why does he tell them this? How does that fit with the theme of masks? 2. How is Peeta's skill in camouflage similar to his ability to lie convincingly? 3. Haymitch, Effie, Cinna, and Portia strongly encourage Katniss and Peeta to appear as a team. In what ways do they act as a team in this chapter? We are not told why they are told to act as a team. It appears that the prep team knows something we don't. Why do you think the team appearance is being encouraged when only one person can win? 4. When Peeta comments on how Katniss is a survivor, she reminds him of how she often needs help in order to survive (ie. the bread he gave her). What is the importance of this conversation to the rest of the book? 5. 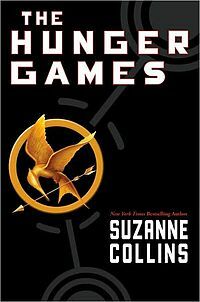 What link between Katniss and Rue is established in this chapter?